Maintaining good air quality in your home is important, not only for you, but also for your family. At home with lower air quality can lead to adverse effects on not only your mood, but also to your health in general, and is linked to general fatigue, asthma and a host of lung diseases. Dealing with a low air quality is easy, however, and it wouldn’t really take much effort to improve the air in your home, especially when you have us to help you with it. How do we get low air quality? There’s a huge number of factors that lead up to lower air quality in a home. These reasons range from the general pollution outside, to less than optimal building materials used to build the home, and emissions from your appliances. One of the easiest ways to check if your air quality is up to par is by getting an air quality testing kit. These kits are generally easy to obtain, cheap and are quite accurate. Making sure that you have the proper airflow into your home is vital to having a good air quality. Certain dusts, particles and chemicals are especially dangerous when they’re under suspension in stagnant air. You can improve the ventilation at home simply by keeping your windows and doors at least partially open to refresh the interior. If you live in a heavily trafficked area, it’s best to do this either very early in the morning or late at night when the traffic is the least heavy, to minimize the car pollutants coming into your home. Having the correct kind of climate control can also improve your air quality dramatically. Making use of the best ducted reverse cycle air conditioner can help keep your temperature at comfortable levels and provide the right amount of ventilation in places where opening your doors and windows to let the air in isn’t an option. 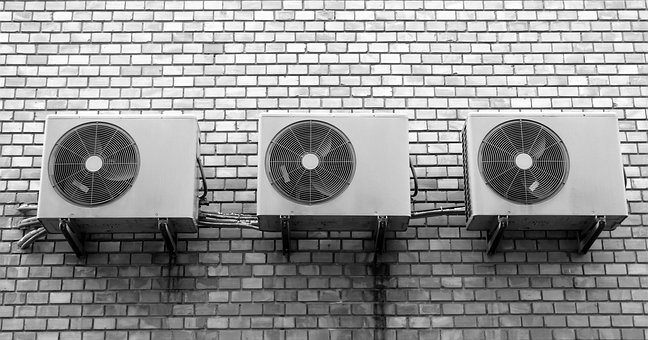 Good air conditioners also decrease the humidity and refreshes the stale air, lowering the chances of bad particles from being disturbed and causing you or your family trouble. Once you have the right kind of air conditioning, it’s important to keep it properly maintained, not only to lower energy costs, but also to make sure that no accumulated dust in the filters find their way back into your home. A lot of air conditioning units use filters to keep dust and impurities from coming into your home, but they need to be cleaned regularly to be effective. Certain allergens and chemicals can accumulate on the floor in the form of dust and can lay there for decades if you don’t clean them up. Of course, cleaning them up isn’t enough. You’ll have to do it properly so as not to agitate these particles and have them flying around the house where they can be inhaled and cause severe harm. A good way to clean surfaces of dust is by using a damp cloth to keep the dust from floating up, or by using a vacuum cleaner. Another place where chemicals and allergens could accumulate is in your beddings. On top of these particles, dust mites may also lurk in badly-maintained sheets, which also attribute to bad air quality. These small insects can cause irritation to your nose and throat, and in the long run can leave you sleep-deprived. The best way to deal with dust mites is by simply washing your sheets regularly. Dust mites love humid places, as do mold. These two can cause a host of health issues when left unchecked. The best way to deal with them is maintaining a lower humidity, at around 30%-50%. As we’ve mentioned before, having a good air conditioner lowers humidity at home, but you can also use a dehumidifier to help keep dust mites and mold at bay. As for mold on the walls, making sure that your plumbing doesn’t have leaks is very important. One of the leading causes of lung diseases is cigarette smoking, and secondhand smoke is one of the biggest contributors of indoor air pollution. 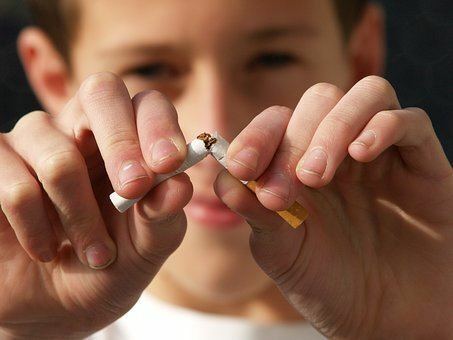 Stopping your smoking habit is one of the best ways to keep your home’s air quality good, but if you’re having difficulties doing it in one go, just don’t smoke where the fumes can find themselves indoors. Also make sure that none of the kids or pets inhale the smoke. A lot of air fresheners in the market, especially the scented ones are heavy with toxic chemicals. This is also true with the synthetic fragrances you get with some laundry detergents. If you want to keep your laundry or your rooms smelling fresh, opt for air fresheners and laundry detergents that have natural ingredients, and try to limit the use of aerosol sprays in general. Another good way to have a lemony-fresh smell in your kitchen without using cleaners is by putting sliced lemon and baking soda together. This gives your kitchen a natural deodorizer without exposing your family to the chemicals that go with commercial air fresheners. Some plants are really good at absorbing toxins and chemicals from the air. Not only that, they’re also great at keeping your indoor air quality healthy and refreshed by providing a good source of oxygen. Bamboo and Ivy are one of many plants that are excellent at filtering out toxins and maximizes oxygen production. A lot of us tend to think of air pollution as an inherently outdoors thing, especially in the big cities. If we’re not careful, however, the air pollution indoors can actually be just as bad, or even worse than in the outdoors. The right kind of care needs to be made in order to keep you, your family and your visitors safe. Implementing much, if not all, of these tips will ensure that you and your family is breathing healthy.